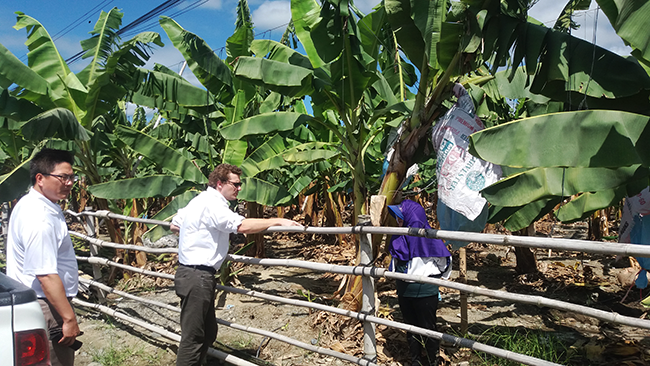 On Tuesday, May 2nd I left for the Dominican Republic to observe ongoing SumaGrow field trials on bananas, rice, chili peppers, and several varieties of citrus trees. In addition, I was there to discuss the efficacy of SumaGrow when treating these crops and answer any questions the growers may have about the product. 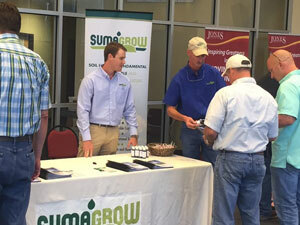 Members of our field team are always on the go to promote SumaGrow technology. We appreciate their efforts. "Drew and I traveled to San Antonio for the 2017 Cattle Raisers Convention and Expo. 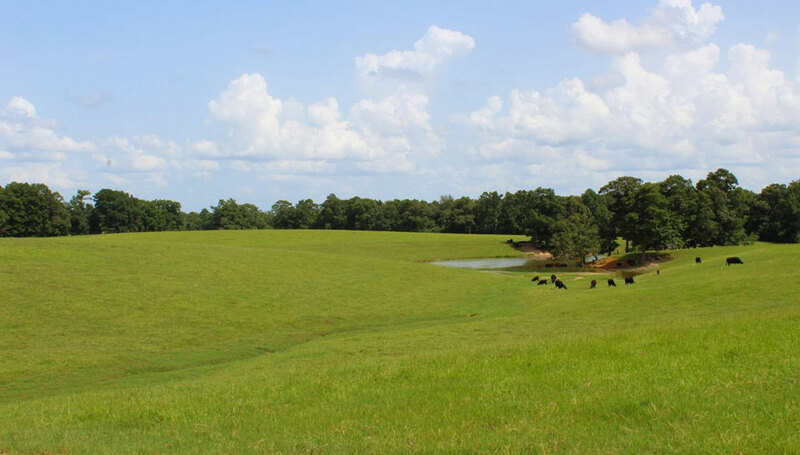 The event, which took place from Friday March 31st to Sunday April 2nd, is the largest ranching event of the year and welcomes ranchers, landowners, and a variety of industry participates. 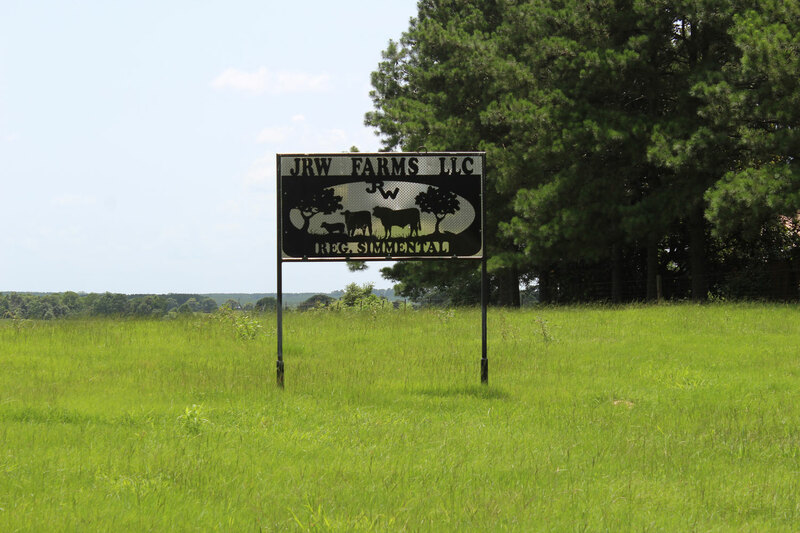 Drew and I, in addition to the Agrigain llc team, spoke with with a myriad of ranchers, landowners, and farmers about the SumaGrow technology and what it can do for not only their lands but their bottom lines as well." Several of our staff recently enjoyed participating in an educational outreach program for local 9th graders held at the Forrest County Multipurpose center in Hattiesburg, MS. Around 1,200 high school freshman attended the event to discover career opportunities in a variety of fields, ranging from media and the arts to agriculture and medical sciences, as well as the steps necessary to achieve degrees in these fields. Our booth focused on the relationship between healthy soil, healthy plants, and healthy people and the ways that SumaGrow and BSEI are contributing to this future. As California moves into its fifth year of drought concern builds as the largest agricultural producer and exporter in the US is suffering from the worst drought in 1,200 years with no relief in sight. 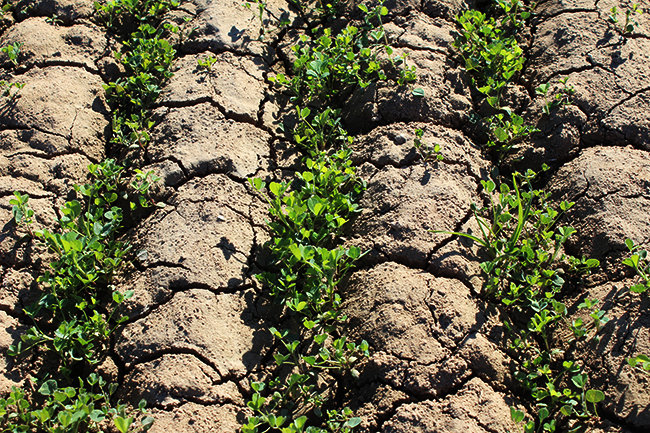 Water efficiency is the cornerstone that determines the fate of California farms and crops, at least in the foreseeable future. Consequently, here is a gross oversimplification of our quagmire in five steps. 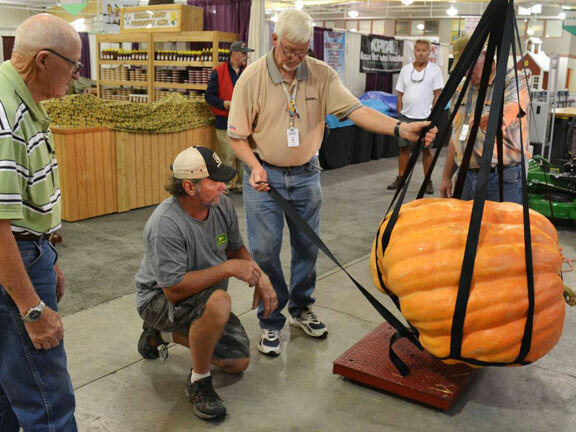 Congratulations to Tony Prochasaka from Simpson, Kansas who became the first person to win the award for both the largest pumpkin AND largest watermelon at the Kansas State Fair. Tony took first and third in the largest pumpkin category, and first, second and third in the largest watermelon category. 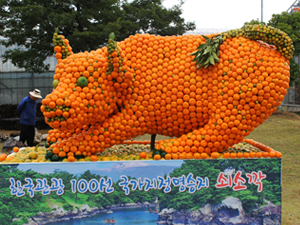 The winning watermelon weighed in at 181.5 pounds (82.3 kilos) and the winning pumpkin came in at 611 pounds (277.1 kilos). Tony said, "SumaGreen when applied correctly boosted my weights 60-80 percent. I believe SumaGreen put my watermelons and pumpkins over the top. We grew at least 25 melons over 120 pounds and two over 180 pounds. Thanks and put me in for an order for next season"
We were honored to be recognized by Mississippi Governor Phil Bryant and awarded the 2016 Governor’s Award for Excellence for Performance in Exporting at a ceremony held on August 26. 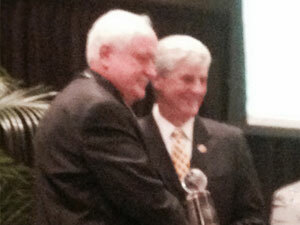 Designed to recognize Mississippi companies for their success in maintaining or increasing export sales, Gov. Phil Bryant presented six Mississippi companies with awards at the 2016 Governor’s Awards for Excellence in Exporting. “I congratulate this year’s winners for growing their business and strengthening the economy through international trade. These businesses demonstrate Mississippi is a place where a variety of innovative companies thrive and enjoy years of success,” Gov. Bryant said. This is BSEI’s second Excellence in Exporting Award, receiving the first in 2014. 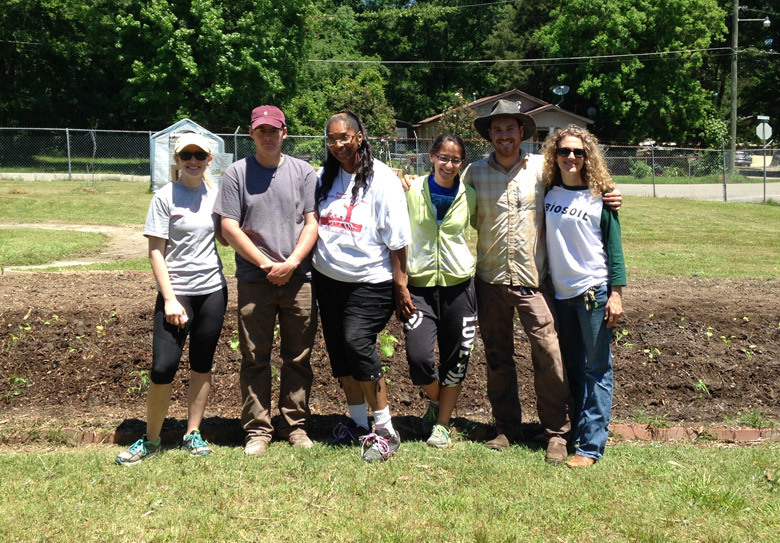 We helped to plant a vegetable garden at the Oseola McCarty Youth Development Center! We joined Janet Baldwin, Executive Director, and Americorps member, Nohemi Martinez, to plant squash, tomatoes, okra, and peppers, to enhance the nutrition, education, and enjoyment of the youth who attend the center’s after school and summer programs. The Oseola McCarty Youth Development Center provides services for approximately 175 families and 250 children in the community. After a lot of prep work from the volunteers, our BSEI team arrived ready to plant using SumaGrow products. What a great way to spend the morning!! Thank you to Janet and all the volunteers at the Oseola McCarty Youth Development Center for the mentoring and leadership you offer to this community. We look forward to returning for the harvest! We had a wonderful time at the Earth Day celebration in Downtown Hattiesburg Farmer’s Market today. 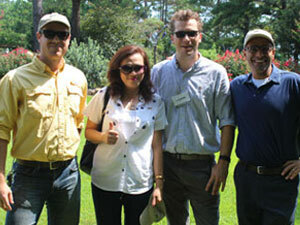 We were pleased to join in with folks from the University of Southern Mississippi, Habitat for Humanity, Gaining Ground , the Hattiesburg Zoo, and the City of Hattiesburg Parks and Recreation Department (and many others) to provide information about our mission for sustainability and environmental responsibility. 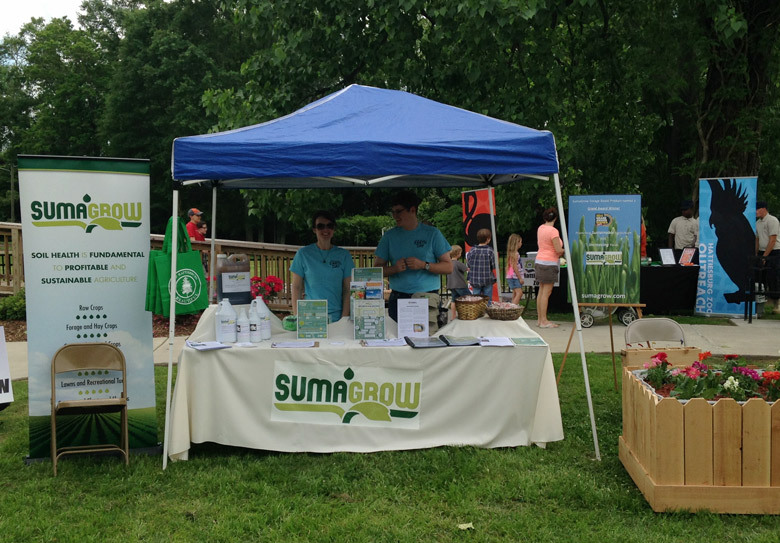 We even sold out temporarily of our SumaGrow “Grow” boxes! Recycled from our own plant material, our grow boxes are designed for urban gardening and with seniors in mind. 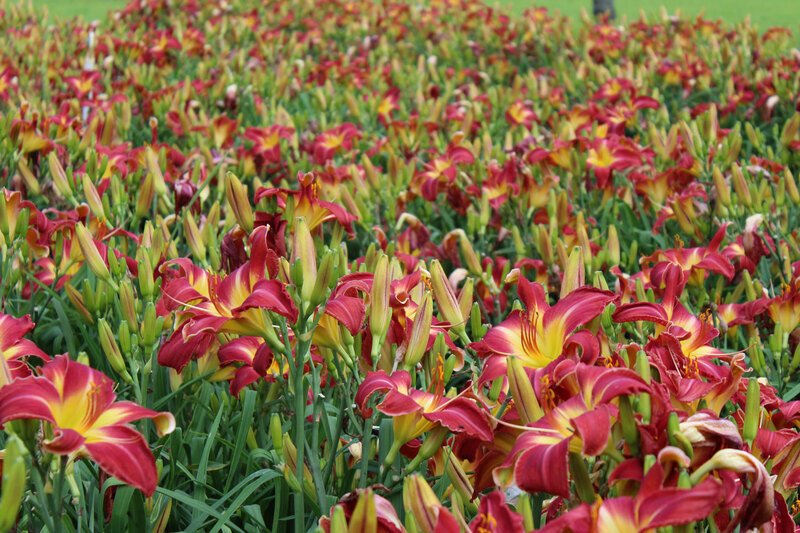 The boxes were designed for more comfortable planting and harvesting by raising their height to reduce the degree of stooping and bending required. If you are interested in one of our SumaGrow “Grow” Boxes, give us a call at 601-582-4000. Happy Earth Day!! 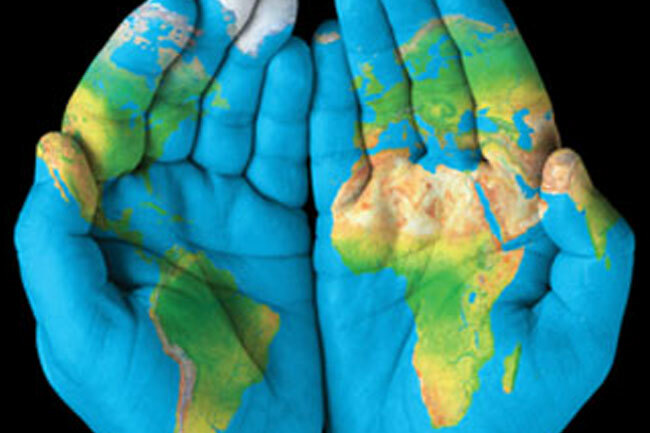 As many of you know, Earth Day is just around the corner, celebrated on April 22nd. You may be asking, “What’s the big deal about Earth Day anyway?” We believe that we, the people, are the big deal. 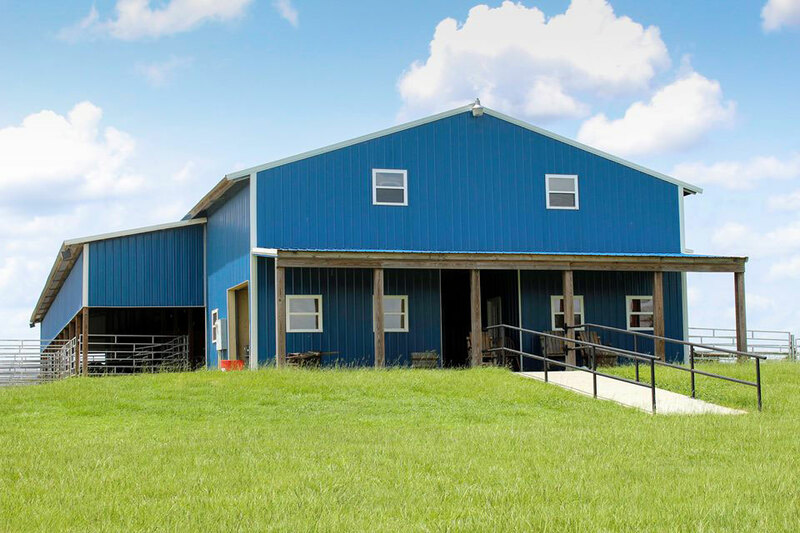 It is important to support and recognize producers in their efforts to use sustainable agriculture techniques and forward thinking farm management plans for ourselves, our children, and our future. 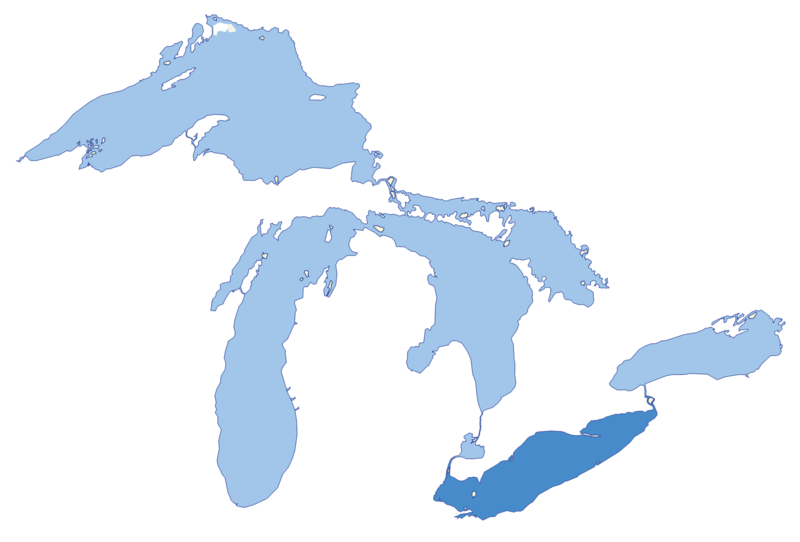 What is happening with agriculture producers around Lake Erie is challenging for all involved and is arguably an indicator of the regulatory direction we are headed in the US. 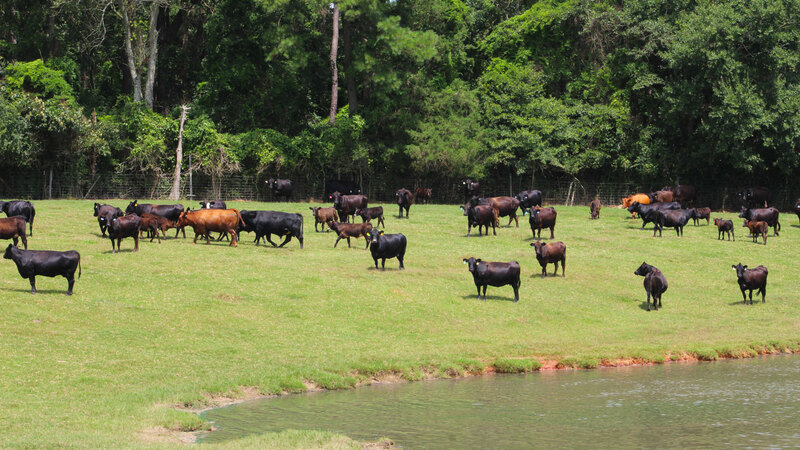 We all acknowledge the growing challenges of keeping our water clean while ensuring we have enough food and that the food we grow is nutritious. 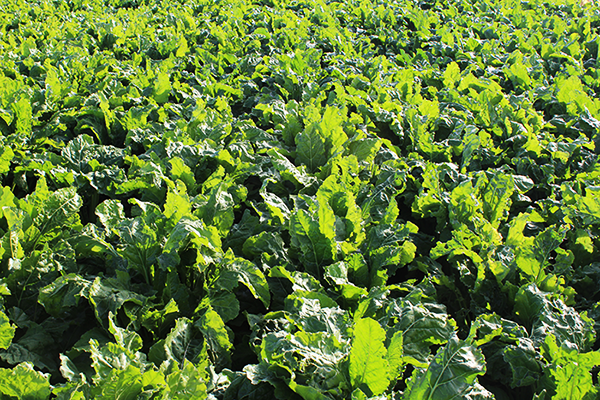 Farming is a science and no two farms are going to have identical challenges in growing high quality crops using reduced inputs. That is why we work with our producers to deliver a customized plan based on the needs of that individual farm addressing the soil type, soil report, crops grown, inputs, etc. Producers need more than a product, they need service. And that is the direction we are headed. If you are interested in speaking with someone about your farm, click here to find your local distributor. 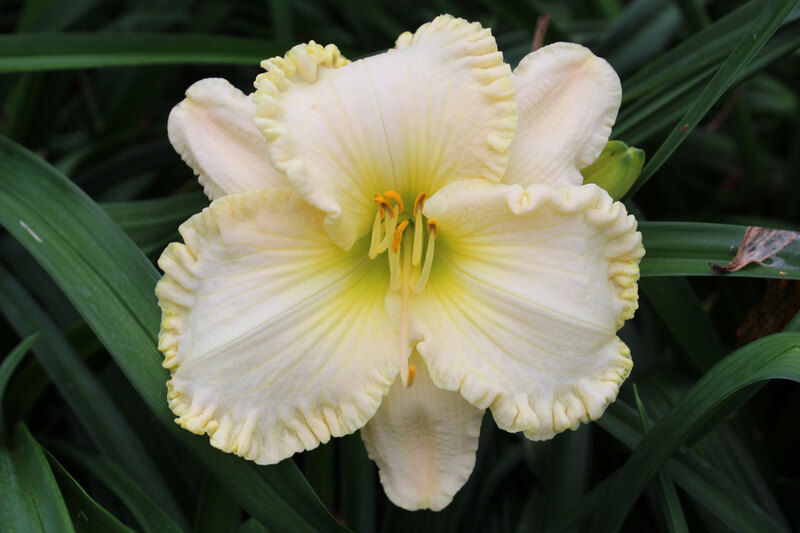 If there is no distributor in your state, simply give us a call at 601-582-4000 or email us. 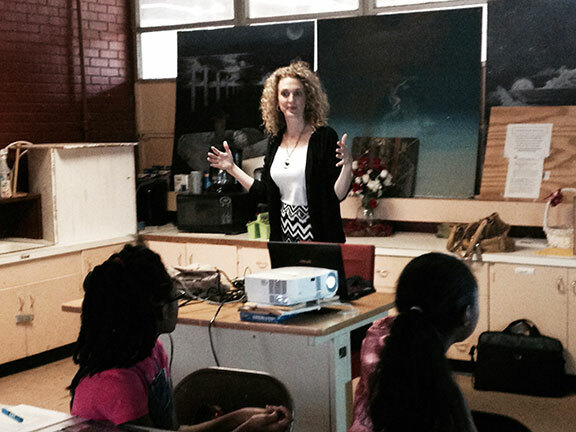 For the Lake Erie Story click here ». Agriculture plays a significant role in the Philippine economy, involves about 40 percent of Filipino workers and contributes an average of 20 percent to the Gross Domestic Product. The Philippines' major agricultural products include rice, coconuts, corn, sugarcane, bananas, pineapples, and mangoes. 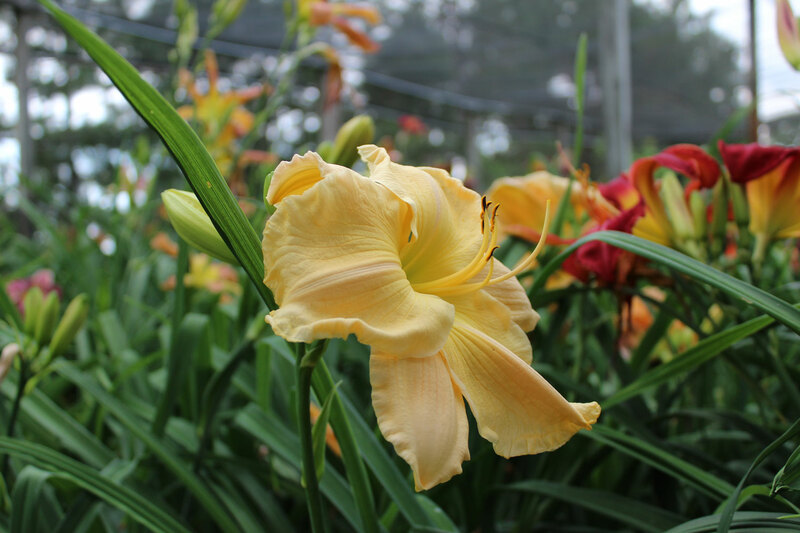 Knox Flowers, BSEI Environmental Scientist, traveled to China and met with greenhouse producers, small and large farm operators, as well as research and development teams. China will attempt to lower its fertilizer and pesticide utilization annual growth rate by less than 1% in an ambitious goal set for 2020. 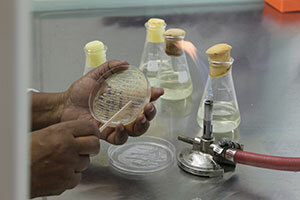 We are happy to assist them in meeting these ambitious goals through products containing SumaGrow that will lower the environmental impact, increase crop quality, and rehabilitate soil and water quality. 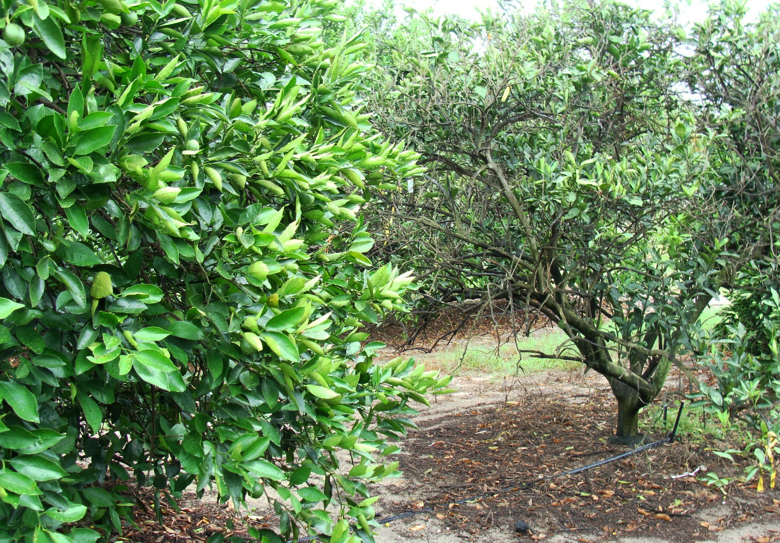 Drew Pigott, BSEI Field Services Coordinator, traveled to Florida to meet with large scale producers regarding a disease that could end the Florida citrus industry and the 76,000 jobs it supports. 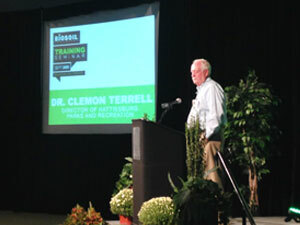 Citrus Greening is the biggest threat facing citrus production not just domestically, but globally. This month, Drew Pigott, BSEI Field Services Coordinator, traveled to Evansville, Indiana to introduce the technology of SumaGrow® to farmers in the Midwest. 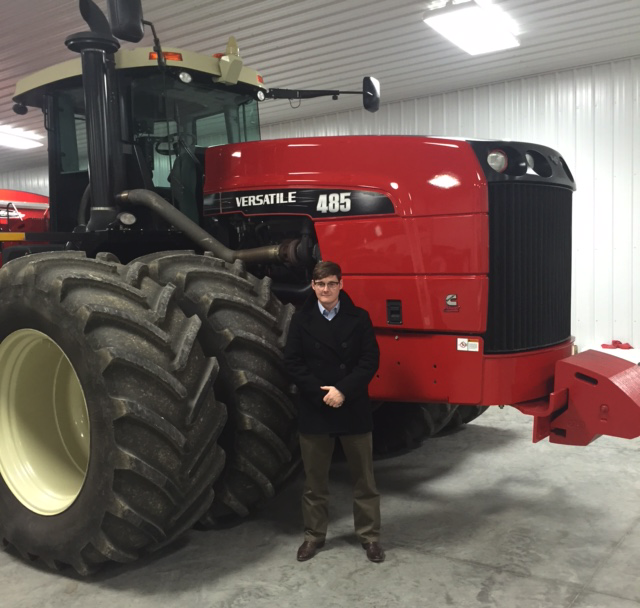 Indiana farmers share the same common goal as producers worldwide; how to reduce operation costs, decrease the environmental impact and grow higher quality, higher yielding crops. This is an age old question harkening back to the beginning of agriculture and one that Bio Soil Enhancers is proud to successfully address! 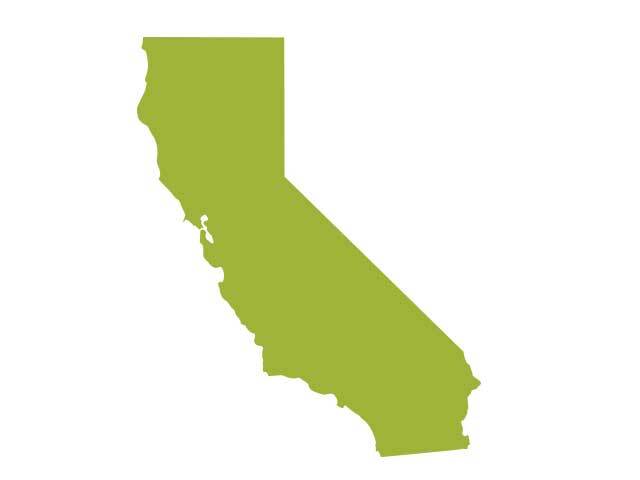 Drew Pigott, BSEI Field Services Coordinator, and Chuck Grantham, agricultural consultant for BSEI, traveled to California to visit with many dairy producers, soil specialists, and businesses interested in incorporating products containing SumaGrow into the companies’ product lines. 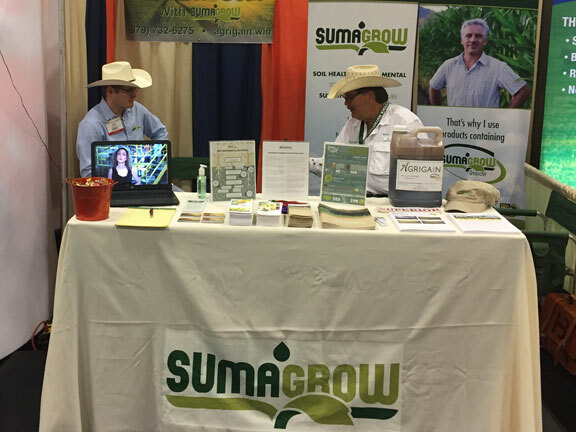 This month, Drew Pigott, BSEI Field Services Coordinator, and Chuck Grantham, agricultural consultant for BSEI, traveled to Arizona to meet with producers and university professionals about SumaGrow&REG;’s microbial technology and its ability to improve agricultural production and preservation. Drew Pigott, BSEI Field Services Coordinator, traveled to Jeju Island and JinJu, South Korea to introduce products containing SumaGrow&REG; to a large and diversified audience and address some of their unique agricultural challenges. We recently hosted guests from across the United States and around the world at the Lake Terrace Convention Center for our biannual training seminar. 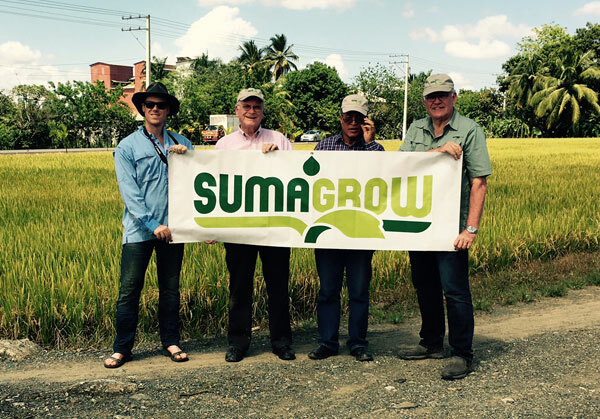 Participants from as far away as China, Myanmar, South Africa, and Ecuador traveled to Hattiesburg to learn about the award-winning SumaGrow technology and global business opportunities available through selling products containing SumaGrow. 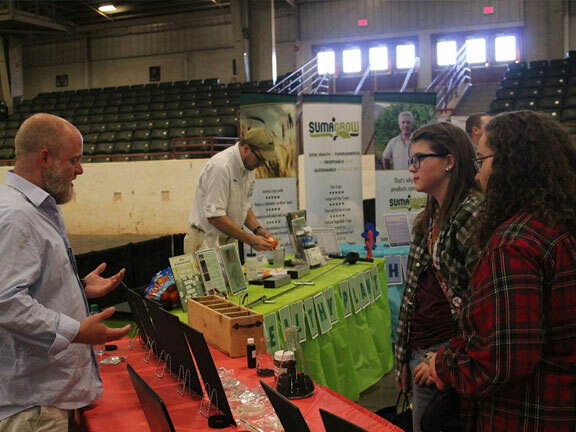 The two day event intensive training program focused on teaching participants product knowledge, business marketing and development, and how to achieve healthy, fertile soil through SumaGrow-containing products. Presentations addressed the global challenges of food security and the increasing shortage of clean water, common international plant and soil challenges, how to build a successful agribusiness, and how to increase yields while reducing agricultural inputs. 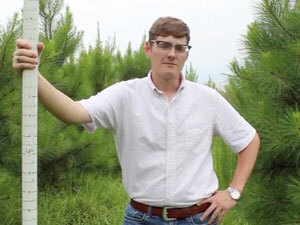 The ability of SumaGrow treated pine seedlings to overcome vegetative competition and grow an additional 32 percent over the control treatment has significant economic implications for the domestic and global forest industry. 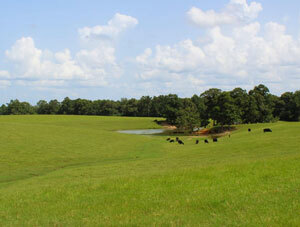 The United States alone has a whopping 514 million planted acres and produces $200 billion in sales a year. Read more. 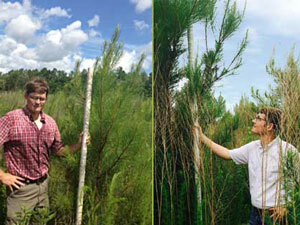 The New Zealand Herald published an article on the upcoming expansion of Bio Soil Enhancers with a site in Auckland. 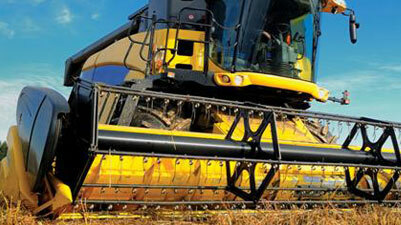 The expansion could have a great positive impact on economic and agricultural growth in several Eastern countries. 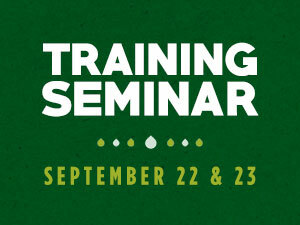 The 2015 Training Seminar is just around the corner. On September 22 and 23 we will host our bi-annual seminar designed to equip our participants with the technical information and business-know-how to build a successful, rewarding business selling products containing SumaGrow. In order to effectively provide the services we offer during the seminar, we must limit the number of participants. Learn more about it and reserve your seat now by clicking here. More great press on the Palmer's Crossing Community Garden as Hattiesburg news channel WDAM stops by. Bio Soil Enhancers has teamed with the Palmer's Crossing Community Action Team and community volunteers to help create a SumaGrown community garden for those who do not have access to fresh fruits and vegetables. It means a lot to us that news sources like WDAM run stories about this partnership, not just so we can spread product knowledge, but so that we can reach those who can utilize the community garden and encourage others to begin their own community outreach programs. 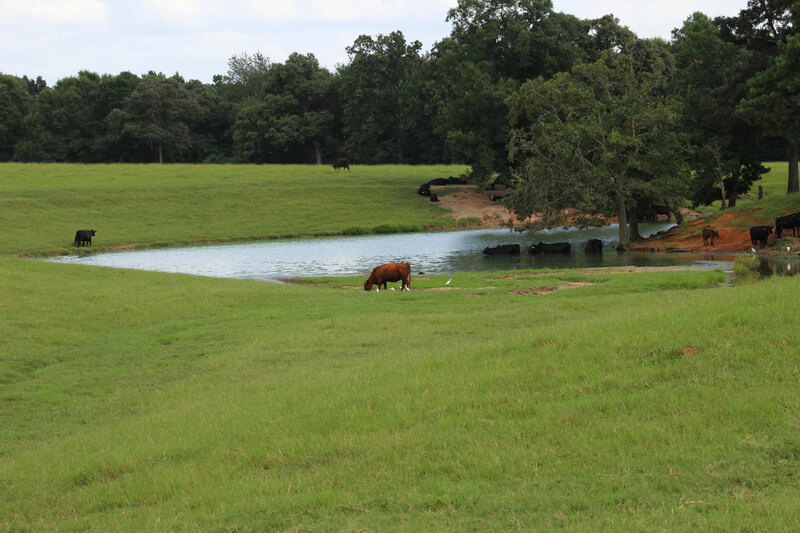 Bio Soil Enhancers' Media Specialist Jake Ford got a chance to visit local cattle producer Richard Woolwine on his beautiful farm in Southern Mississippi. 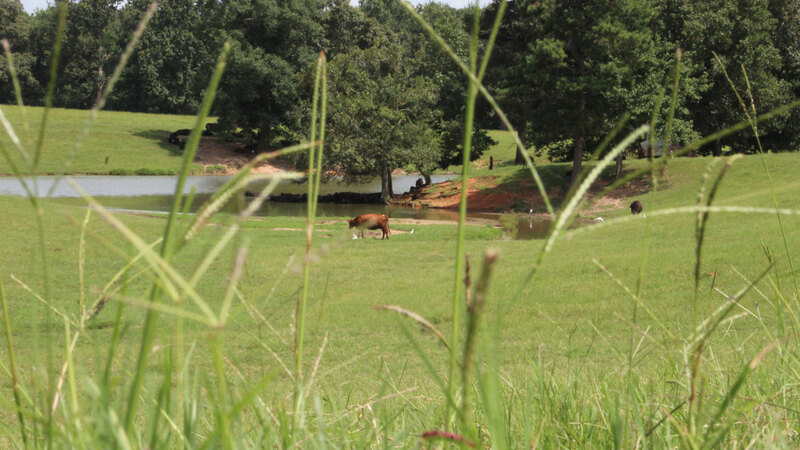 Woolwine has been using products containing SumaGrow on his forage grasses for years in order to increase animal performance and raise the quality of his beef. 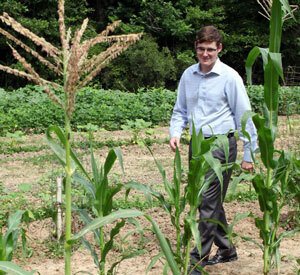 A reporter for the Hattiesburg American Newspaper stopped by the Palmer's Crossing Community Garden to ask volunteers why they decided to grow a community garden and what impact it has made. Bio Soil Enhancers partnered with the Palmer's Crossing Community Action Team and volunteers to create a SumaGrow treated garden for those who do not have access to fresh fruits and veggies. Bio Soil Enchancers' CEO Lou Elwell recently visited Canada to attend the meeting of the South Eastern United States- Canada Provinces Alliance. 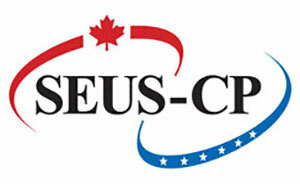 SEUS-CP allows participants to develop business relationships and is a forum for government leaders to discuss views on subjects of common interest. 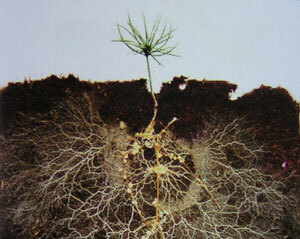 Conferences and global organizations such as the SEUS-CP are highly beneficial to Bio Soil Enhancers as we continue to grow and promote the technology of SumaGrow. 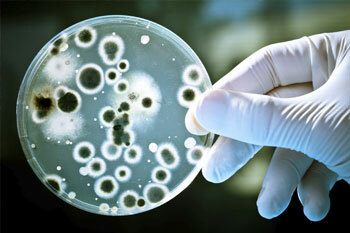 The Atlantic magazine posted an article about the benefits of using soil microbes to grow food. 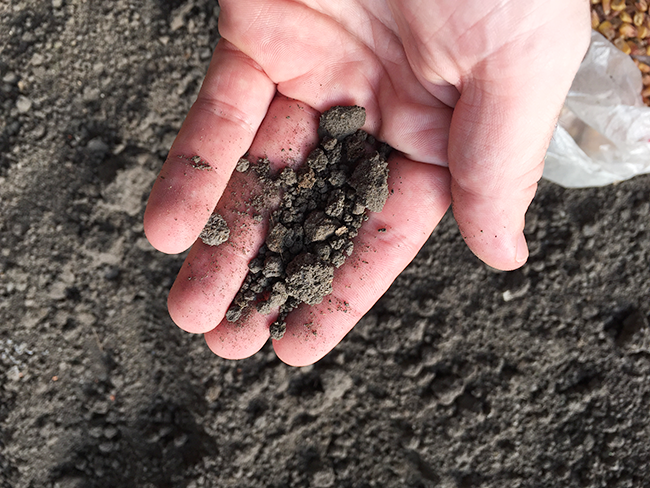 This article is a great resource for those that are curious about how products like those containing SumaGrow can have an enormous impact on the sustainability of the future of agriculture. Our #SumaGrowing campaign begins today on Facebook. 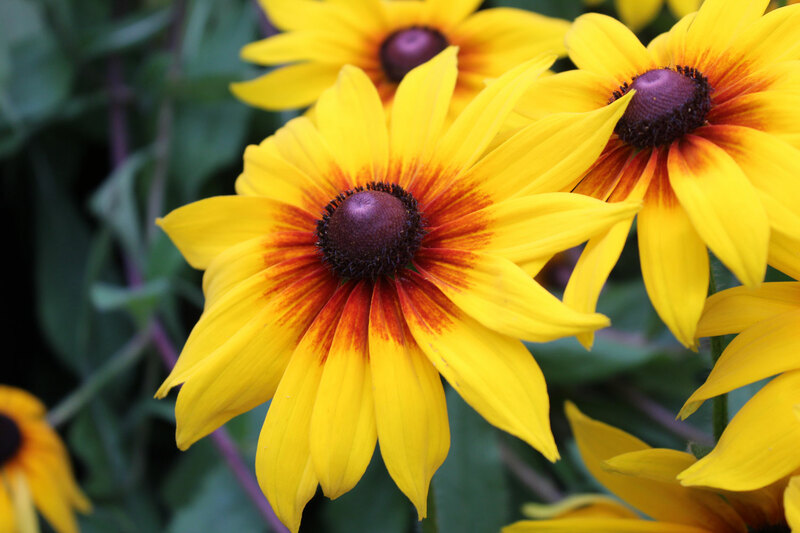 Users of products containing SumaGrow can submit pictures using #SumaGrowing to be entered into a contest in which the winner wins a $200 shopping spree. Winners will be chosen with a drawing to be held at the end of the contest, Monday, July 6. 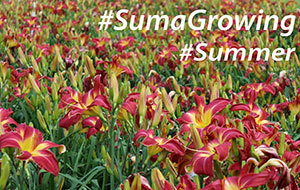 The more pictures of SumaGrown treated plants submitted by the user, the more chances he or she has to win. For official contest rules, see our Facebook page. Earl Watts grows his prizewinning daylilies with SumaGrow!. 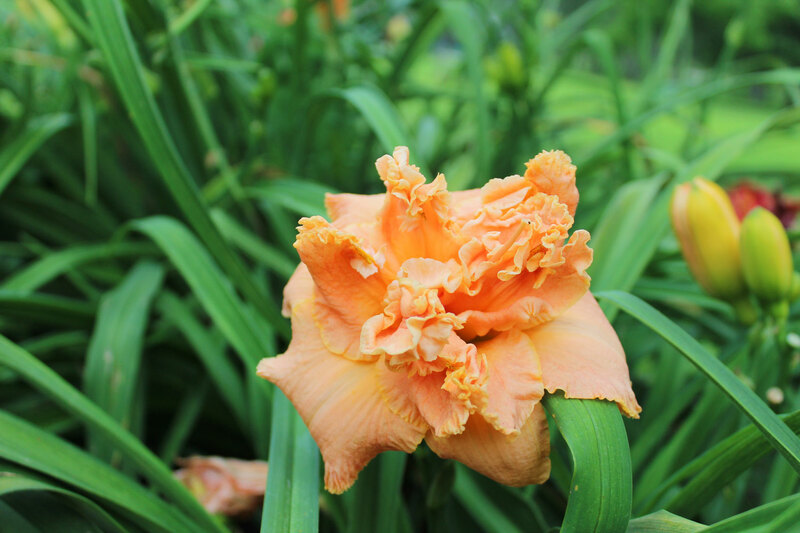 For over 20 years, Mr. Watts has been growing and hybridizing large field-grown daylilies and selling them to people all over the United States. 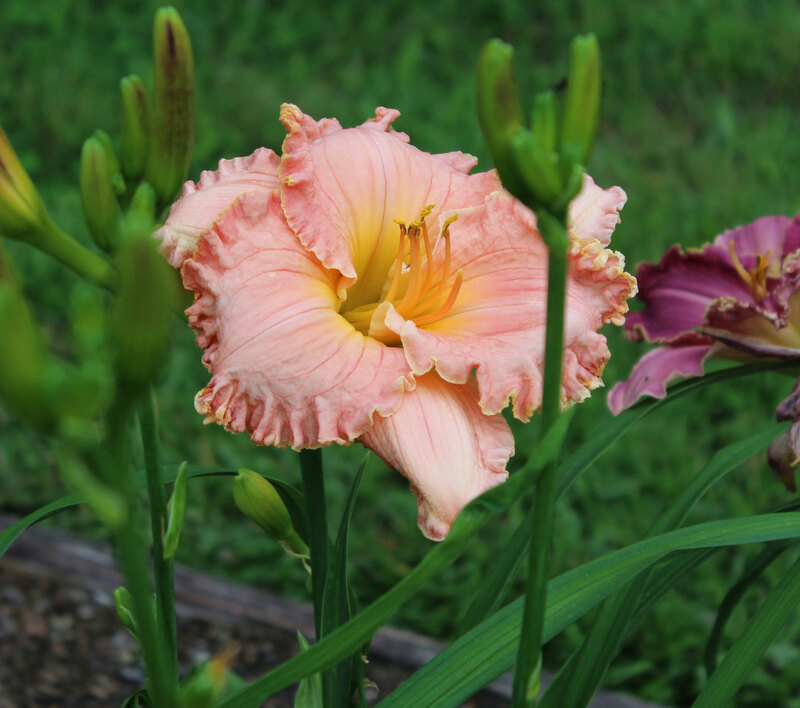 In 2015, Earl’s cultivar “Suburban Nancy Gayle” was the recipient of the Mississippi Medallion.